After reading and writing pieces about foldable phones for months, I finally got to try Huawei‘s extravagant Mate X foldable phone. I used the phone for a couple of minutes at the company’s briefing in India, and it was a very cool experience. However, there was one catch: I didn’t get to actually fold it. As my colleague Matt has mentioned in his story, the Mate X looks incredible – both in it’s folded and unfolded avatars. In my couple of minutes with the phone, I felt the phone’s build is quite massive and bulky (it weighs 295 grams), making the one-handed usage very difficult. 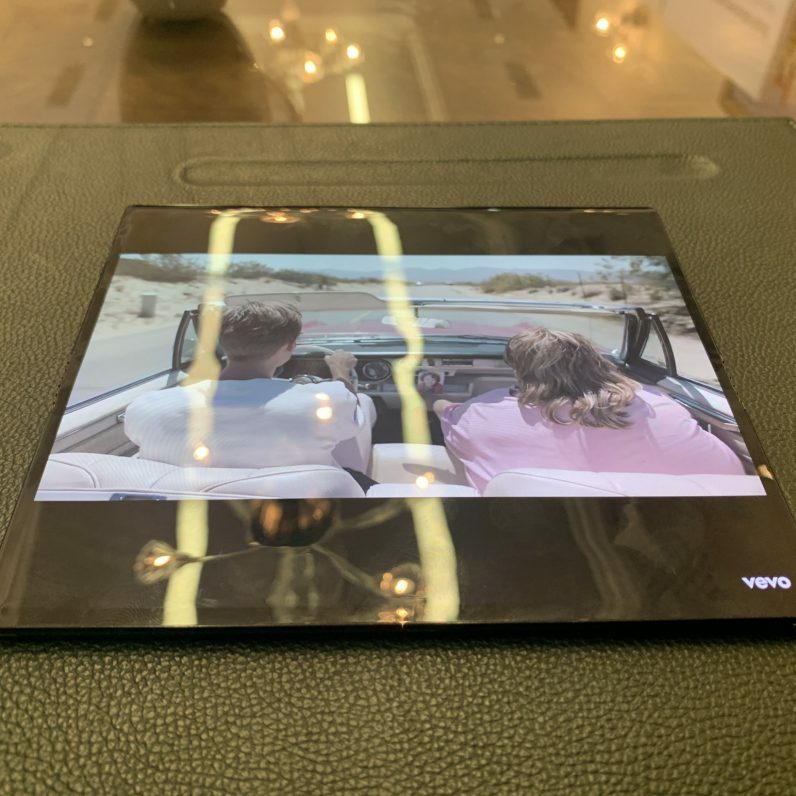 The device has a flexible OLED panel that uses plastic instead of the glass, so the device is super-reflective as you can see in the picture below. Unfortunately, the screen wasn’t as responsive as the average smartphone today – mostly due to the fact Huawei used plastic for the screen. I scrolled through some articles on TNW in unfolded mode, and thought this will make for a great device for reading. Watching videos on the phone was fun too, thanks to its big screen and decent-sounding speakers. The demo apps installed on the Mate X unit I tested ran smoothly – both when the device was folded and unfolded (I didn’t get to fold the device myself, but a Huawei rep gave us a little demonstration of how the handset performs when folded or unfolded). But, we’ll only get to know how well they do in real life usage, once the device is released. In the folded mode, the phone didn’t take much time to switch the UI when I toggled between the front and the back screen. It’s a shame I didn’t get to actually fold the device myself (this is the feature most people are excited about, after all), but I’d be curious to find out how sturdy the hinges are. Huwaei gave no details about the longevity of the hinge, or results of their internal test on the durability of the folding display. Nonetheless, it was extremely cool to actually see and use the folding phone for the first time. Despite the crazy price tag of $2,600, I can totally see why some people would want to be the first ones in the world to use a foldable phone. I guess I’ll just have to use good old rectangular boxes till I get to test this intriguing beast.